Dr Tim Daley is an Associate Professor of Physical Geography in the School of Geography, Earth and Environmental Science, and Principal Investigator on the ERDF Agri-tech Cornwall project at the University of Plymouth. Since joining the University in 2010, Tim has taken on leadership roles based in the development of multi-disciplinary sustainability research and has, as Co-Investigator or Principal Investigator, been awarded ~£1 million in funding for several projects through NERC, charitable grants and the European Union. 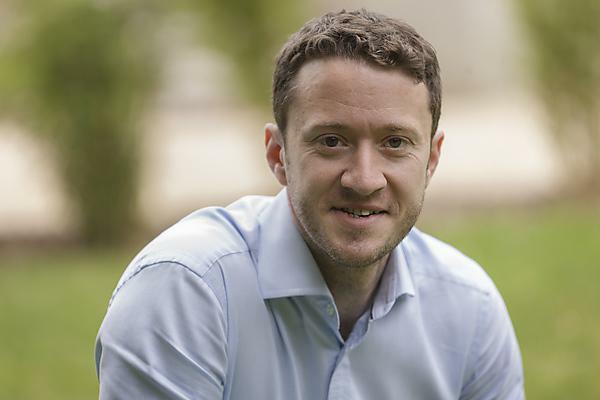 Tim’s passion for geography flourished during his undergraduate degree at the University of Southampton, where he went on to complete his PhD, receiving prize awards in 2004 and 2006 from the NERC RAPID programme. Tim progressed to a position as NERC QUEST Postdoctoral Research Officer at Swansea University, where he co-authored the 2009 paper ‘Climate drivers for peatland paleoclimate records’, a review of the state-of-the-art of climate research from peatlands. Holocene paleoclimate studies, specifically in peatland settings, was the beginning of Tim’s research career and is the field in which he predominantly continues research today. Tim’s research has a global reach. In 2017 he was invited to the Mexican National Institute of Ecology and Climate Change to present on the carbon sequestration potential of peatlands, in particular the unsung role of microbes, and on the UK’s approach to adapting to climate change. The political buy-in at the 2nd Annual Conference on Climate Change was extraordinary. Nearly half the Mexican government secretaries of state turned up together to demonstrate their support and hear progress. A contrast indeed from many other nation-states. As well as leading on the Cornwall Agri-Tech project, Tim has secured funding from South West Water to collaborate with them and colleagues in Chemistry with research designed to respond directly to the UK’s environmental plan, outlined in ‘A Green Future: Our 25 Year Plan to Improve the Environment’. The project aims to understand how microorganisms regulate greenhouse gas emissions from peatlands, and therefore and whether restoration of peatlands may increase the potential for this natural ecosystem to mitigate future climate change. This future facing research aims to identify a legitimate method for enabling a landowner to quantify the monetary value of their land’s natural services, in terms of regulating greenhouse gas emissions. Putting a value on their lands’ natural capability to mitigate anthropogenic climate change may well encourage landowners to adopt environmentally-favourable and economicallyviable practices.